A MiG-21 LanceR crashed on Saturday during an airshow at the Borcea Air Base in Southern Romania on Saturday afternoon. The 36-year old pilot died and witnesses said he stayed on board to fly the plane away from the crowd although he could have catapulted himself, according to Digi24.ro. Some 3,000 people were attending the airshow. The pilot, Lieutenant-Commander Florin Rotaru, had over 400 hours of flight. He was married and had two children. 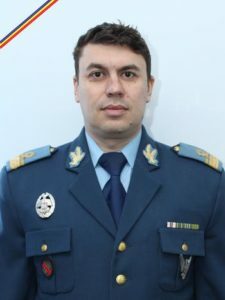 The cause of the accident might be a technical malfunction and all MiG-21 LanceR fighters used by the Romanian Army have been grounded until the investigators determine the exact cause of the tragedy. The Russian-made MiG-21 fighters have been used by the Romanian Army for more than 55 years. Romania has had over 400 such aircraft. Some of them were refurbished in 1992. Starting 1994, 20 MiG-21 LanceR fighters have crashed, killing 12 pilots.